Located in rural Lyons, Nebraska, Silver Creek Nursery is service-oriented evergreen nursery focused on specific customer needs. 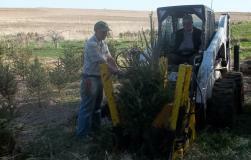 Silver Creek Nursery was established in 2004 by Steve and Ann Schlichting as a side business on the family farm. By 2005, we dedicated all of our efforts to raising trees when we rented out our corn and soybean acres and turned the tree nursery into a full time business. 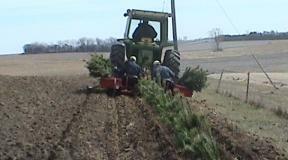 Our main focus is to produce high quality evergreen trees and shrubs for your landscape. Nursery hours are by appointment only. Please contact us if you would like to schedule a visit or to pick out that perfect tree for your landscape.